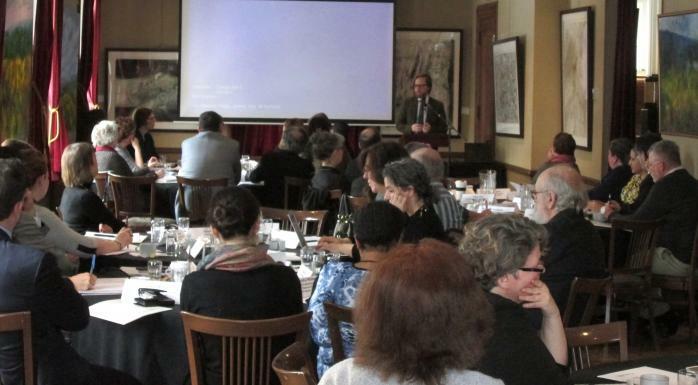 Barry McCullough, representing the Morrin Centre of Quebec City, as well as the QAHN Board, was one of the moderators at the 7th annual meeting of the Arts, Culture and Heritage Working Group. The event, which took place at Thomson House at McGill University, was co-organized by Canadian Heritage, QAHN and ELAN. Representatives of various federal government departments and agencies, as well as organizations working in the arts, cultural and heritage sectors, attended the day-long gathering.